Here are 24 pronoun practice cards for working on She, He, Her, Him with students who have difficulty with these. 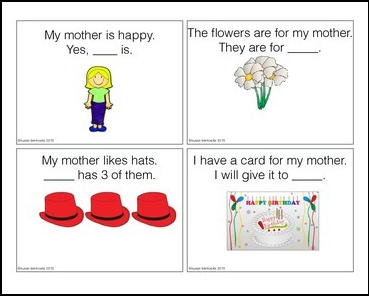 Students fill in the blanks with the correct pronoun. Cards are illustrated with fun graphics.